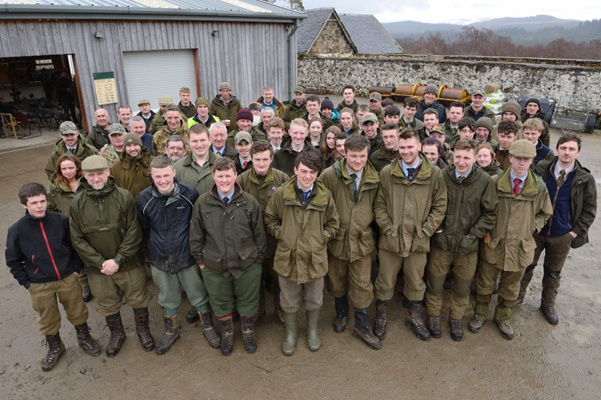 Forty-five gamekeeping students from Borders College, SRUC Elmwood and UHI North Highland College visited Creag Meagaidh National Nature Reserve, near Laggan, for a Wild Deer Best Practice Day, organised by SNH. These College days are designed to introduce student gamekeepers to the Best Practice Guides which inform deer management practitioners on how to maintain high standards in areas such as: food safety, animal welfare and environmental sustainability. The day was split into three workshops covering: carcass handling, firearms and habitat monitoring. The carcase handling workshop focused on ensuring the highest possible quality of venison product. Rory Richardson, SNH Creag Meagaidh Reserve Manager, and Ali Cameron, Forestry Commission Wildlife Ranger, led discussions on minimising the risk of contamination when dragging deer carcases from hill to larder. 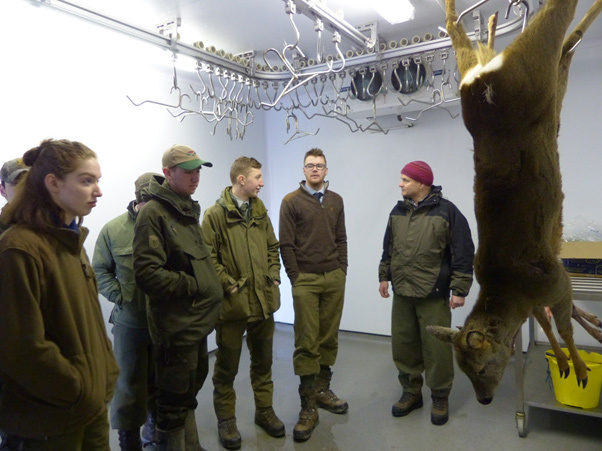 Iain Hope, SNH Wildlife Management Officer, took students into the larder to demonstrate carcase inspection. The carcase handling summing up stimulated interesting discussion between the students, SNH and FC staff which included views on the merits of leaving some carcases on the hill versus removing them. The firearms workshop was led by Jim Govan, a retired forensic ballistics expert from Police Scotland. He gave a presentation on how bullets respond on impact and the importance of shot placement. There has been much debate over the respective performances of copper and lead bullets. Using ballistics jelly, Jim was able to show the students a comparison of the relative effects of copper and lead bullets on a carcase. SNH Wildlife Management Officer, Jimmy Irvine, guided the students on the rifle range, discussing factors affecting accuracy. The students were given the opportunity to see the effect of accuracy under different conditions. 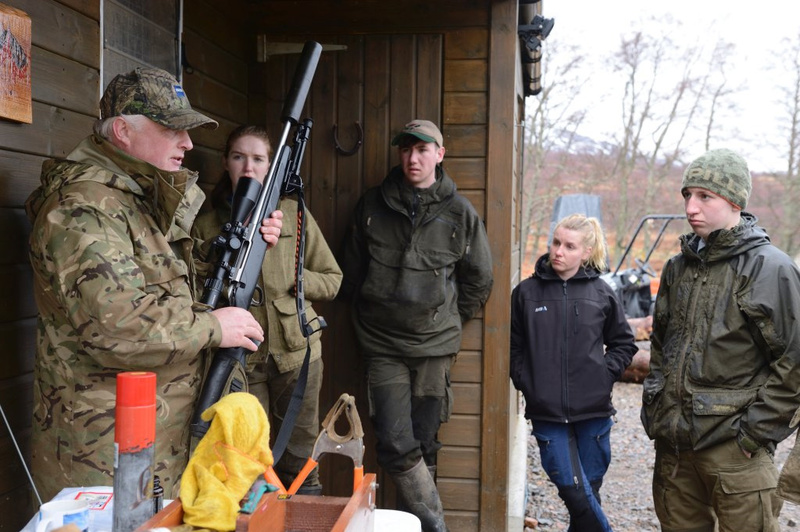 Marcus Munro of the Highland Shooting Centre took the students through to the process of correctly cleaning rifles – which resulted in some rowdy to and fro on the virtues of cleaning rifles at all! Marcus won some hearts and minds, while other students may remain attached to their own way of doing things. 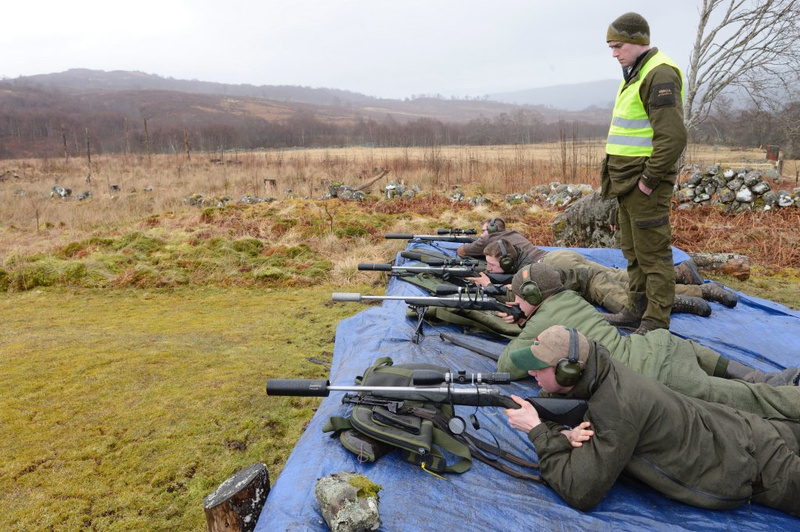 The Habitat Impact Assessment (HIA) workshop demonstrated how to measure the impacts that deer have on habitats and was led by SNH Wildlife Management Officers: Graeme Taylor, Holly Deary and Sinclair Coghill. The Students split into groups and undertook one plot of an assessment on heathland, blanket bog and in woodland. Knees got dirty and heather heights were measured but, amid some amusement, students were clearly getting to grips with the importance of habitat monitoring in informing deer management discussions. 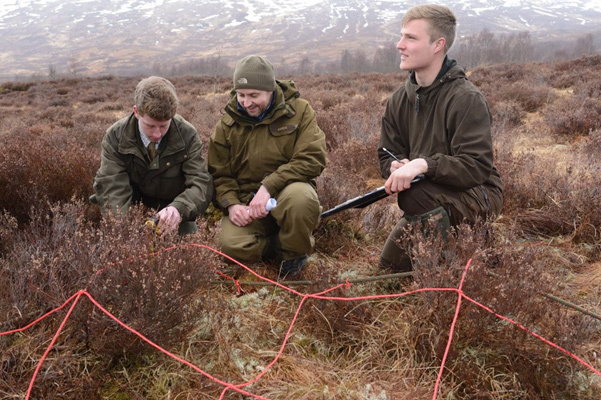 Some students even said they would like to set up monitoring plots on their estates and practise using the HIA method – a clear indication of the relevance of the Best Practice Days and a great opportunity for SNH to engage positively with future land managers, at a formative time in their careers.